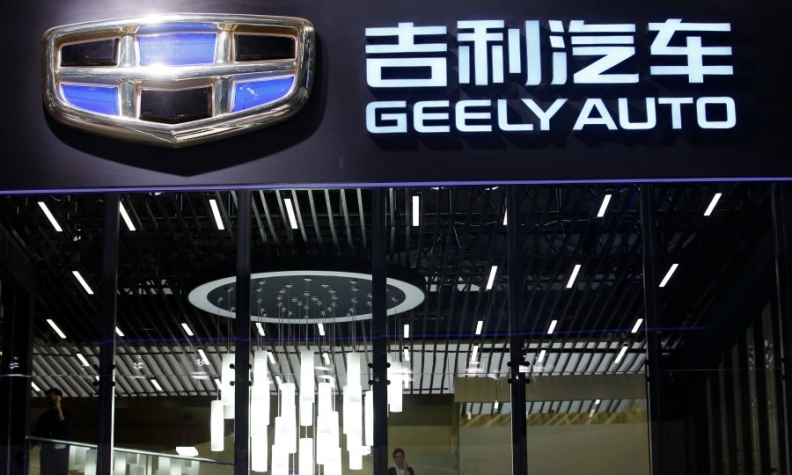 MOSCOW -- Chinese automaker Geely has teamed up with Belarus to open a plant in the country producing vehicles targeted at the Russian market. The investment is a measure of growing political ties between China and Belarus, a country envisaged as a gateway for China to the European Union, part of China's giant investment initiative known as One Belt One Road. China is a welcome source of funds for Belarus, which relies heavily on Russian money to keep its Soviet-style economic model afloat and strongman president Alexander Lukashenko in power. China is building a new airport in Minsk, energy infrastructure and a commercial park known as Great Stone just outside the capital. Lukashenko said the plant embodied his dream of having cars produced in Belarus and promised to sign a decree stimulating car sales in the country. "Our friends responded to my request and helped to create this beautiful plant," said Lukashenko, according to the state agency BelTA. The plant, 70 km (44 miles) from Minsk, aims to produce 25,000 and 35,000 cars in 2018 and 2019 respectively and has the capacity to make 60,000 cars per year. "Ninety percent of the cars produced will be targeted at the Russian market," the company said in a statement. The Belarussian authorities have spoken previously of plans to expand the plant to increase production to 120,000 cars. For the first nine months of this year, Geely sold only about 1,700 cars in Russia, and sales volumes fell 55 percent compared to 2016. According to Russian analysts, the plant, which will take advantage of Belarus's membership of the Russian-dominated Eurasian Customs Union, will be able to increase sales. But even so, analysts downplayed the ability of the Russian market to absorb more Chinese cars. "The market is growing, but it depends on prices and the range. In any case they will not be able to sell 30,000 per year," said Sergey Udalov, deputy head of consultancy Autostat. "I think it is possible to increase sales to 10,000, but I do not think they will be able to sell more." The plant is not Belarus's first attempt to establish its own car production. Previous efforts included investment from Ford Motor and VW Group’s Czech Skoda brand, but these projects folded.